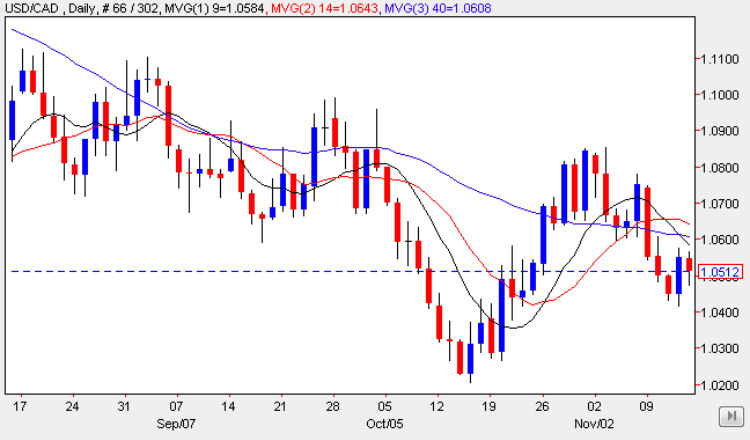 The bearish sentiment is firmly back in place for the usd to cad currency pair, despite the mid week attempt to recover, a move which was promptly snuffed out by the three moving averages which are now weighing heavily on the currency pair once again. The key technical level now remains the 1.02 price level, where we saw a sustained bounce last time around, and it will be interesting to see whether we have a repeat of this price action in due course, which could of-course signal the start of a double bottom pattern on the daily chart. However, I am jumping ahead, and in the short term we can expect to see the pair fall in the short term once again from the current price of 1.047 down towards the 1.02 price level outlined above. Once we achieve this price point then for any short term trading positions stop loss management will become key and as we approach this price point it may be advisable to take any profits off the table, and then wait to see how the usd to cad reacts at this level. Should we see a break and hold below, then we can assume that the bearish trend remains firmly in place and parity then becomes a possibility once again in the medium term. With the US dollar index looking extremely weak, the outlook remains bearish in the short term.